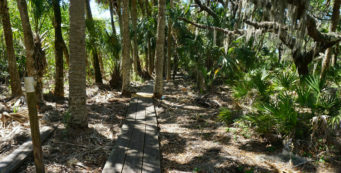 St. Marks River | Florida Hikes! 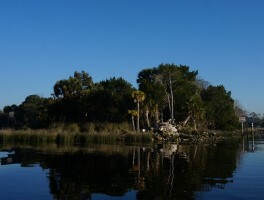 Where the Wakulla and St Marks Rivers meet, explore San Marcos de Apalache Historic State Park, a small piece of ground with a deep history under five flags. 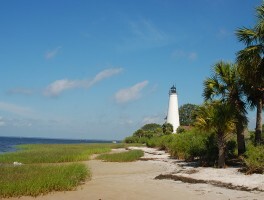 A windswept walk along the Gulf of Mexico, the Lighthouse Levee Trail provides scenic panoramas of both the Gulf and marsh impoundments near the St. Marks Lighthouse. 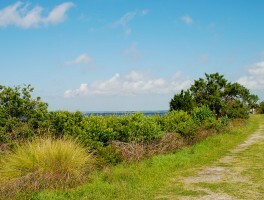 The site of the first coastal fortress along Florida’s Panhandle, San Marcos de Apalache Historic State Park protects several generations of battlements. 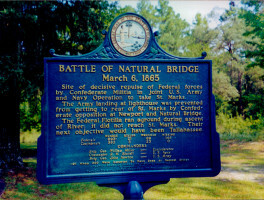 The site of the first coastal fortress in Northwest Florida, San Marcos de Apalache has a 0.6-mile historical trail at the confluence of two major rivers. 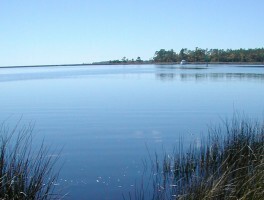 A fishing village at the confluence of the St. Marks and Wakulla Rivers, the town of St. Marks is also the end point of the Tallahassee-St. Marks Historic Railroad State Trail. 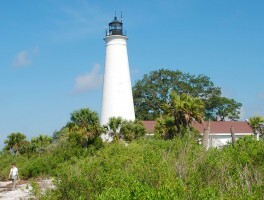 Built in 1842, the St. Marks Lighthouse played a pivotal role during the Civil War. Despite its light being quenched during the war, it remains a working lighthouse marking the location of the St. Marks River. Stretching across 70,000 acres in Florida’s Big Bend, St. Marks National Wildlife Refuge protects one of Florida’s longest wild shorelines, more than 43 miles in three counties. 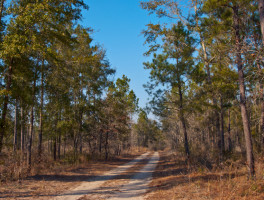 Explore river bottom forest around the St. Marks River on a network of old forest roads that traverse St. Marks River State Park, between Tallahassee and Wacissa.